‘Kinetics’ – a play which explores the relationship between a free running-obsessed teenager and a teacher with young-onset Parkinson’s – has been made into a film that will screen in London, UK. The play – which was written by actor Sue Wylie – received such positive reviews that Sue was able to raise £30,000 from a Kickstarter campaign to adapt it for the big screen. Sue, who was diagnosed with Parkinson’s seven years ago, said the film’s characters – Laszlo and Rose – are based on her own experiences. “There is a real Lukas who goes by the name of Laszlo and I am the real Rose, diagnosed with Parkinson’s shortly after my 50th birthday. “I was teaching part-time when Laszlo came to my attention. He was getting into trouble for free running on the school roof. It became clear on talking to him he was in danger of getting kicked out of school before he completed his GCSEs. I suggested we write a short monologue in which he could express the frustrations that made him want to go running. 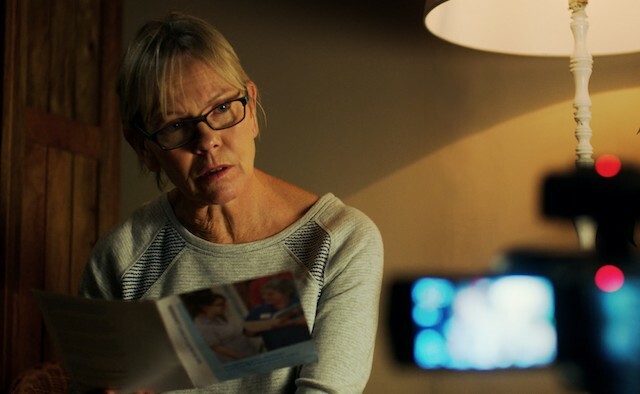 In one memorable scene Rose – played by Sue – is informed of her Parkinson’s in a cold and unsympathetic manner by her doctor, something which Sue said she and many others have experienced. The impact of that scene was so significant that several medical institutions – including Exeter University, Dorset County Hospital and Bournemouth Hospital – are using it as a learning resource to help junior doctors approach diagnosis. The film will be shown at the Everyman Cinema in Baker Street, London, UK on 24 June at 11:00 GMT. You can buy tickets here, and view the trailer below.